Podcasting is booming and audience numbers are skyrocketing. But if you’re only developing as a podcaster, or even if you’re already a regular podcaster but not seeing the growth that you’d like, just how do you plug into this potentially massive audience? Fortunately, come October, Travis Chappell will be jumping on a plane bound for Brisbane and the We Are Podcast conference. And during a very special presentation, he’s going to let us all in on his little secret. You see Travis is an expert at getting more listeners to your podcast for free. During his session at We Are Podcast 2018, he’s going to show you how to get more listeners, many more, from your social media channels – without posting a single ad. Travis’s particular focus in this session will be Facebook. He’ll guide you through how to optimise your Facebook profile. He’ll show you why your current posts may not be getting the engagement they could. And he’ll show you how to effectively use Facebook Groups to connect with your audience. He’ll go deeper and show you exactly how to optimise your Facebook timeline to attract your ideal listener; strategically use pictures to increase your visual persuasion, and he’ll show you how you can use these same tactics on other social channels such as Instagram to generate real audience engagement. The best part about it is that every strategy, technique, tip and tactic that Travis presents uses only Facebook’s free features. And we all love a bit of free promotional love, right? So, who is this Travis Chappell? Well, if you’re not familiar with his work, Travis is known around the podcasting traps as the ‘superconnector’. 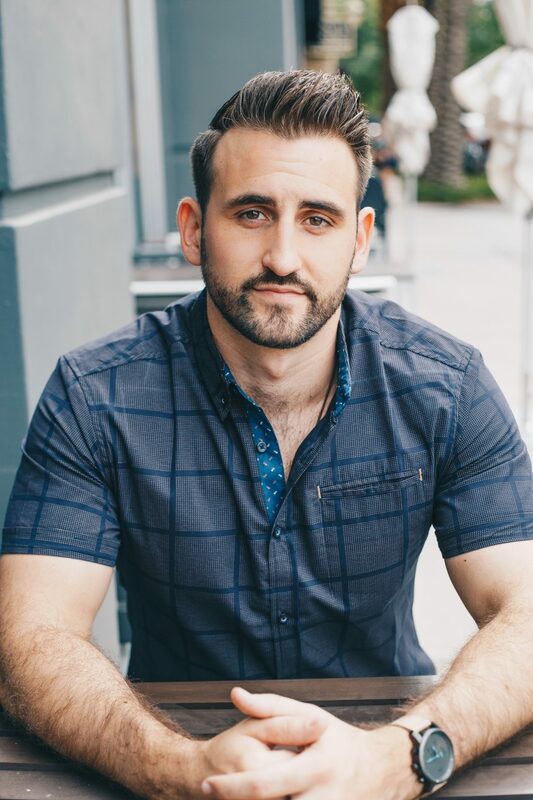 Building on his skills and experience as a top direct sales expert, he created and hosts the very popular podcast Build Your Network – a podcast dedicated to helping professionals cultivate genuine relationships, connect with influential people in their industry and leverage the power of their network the right way. Travis has been there, done that and has the audience numbers to prove it. If you’re looking to tap into the huge and growing podcast audience by making the most of Facebook’s free features, then make sure you catch Travis at We Are Podcast 2018.